WindowsAndroid is a useful application that was designed to emulate all the functions of Android and provide you with a means of enjoying all the features of this OS right onto your computer. This port of Android is based on Ice Cream Sandwich (ICS), the latest iteration of the well-known platform that runs on mobile phone, tablets and other devices. 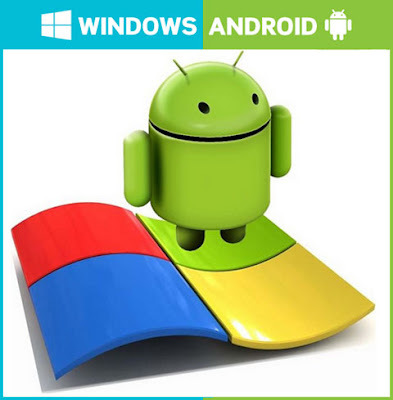 WindowsAndroid is a simple way to run Android operating system on Windows. It is actually a full porting of the mobile OS, which means that you will benefit from the full experience, complete with apps and specific settings. The emulator leverages the performance of the resources available for Windows, such as hardware acceleration and high performance media codecs. It makes Android 4.0.3 available and is able run on Windows Vista and up (Windows 8 included). A new version is currently under development and it should offer a newer Android. The advantage of WindowsAndroid is that it includes a complete experience, unlike other similar solutions that can run only Android apps on Windows. You can install the apps yourself if you have the APK by simply placing the file in WindowsAndroid’s “Data\App” folder.